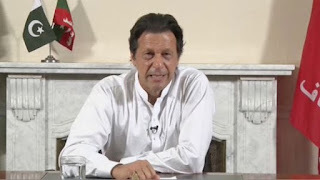 Former cricket star Imran Khan has been elected prime minister of Pakistan in a vote at the country's National Assembly. His PTI party won the most seats in July's elections - setting up Mr Khan to become PM with the help of small parties, more than two decades after he first entered politics. He ran on an anti-corruption platform that pledged to improve the lives of the country's poor with an "Islamic welfare state".